The Director General of the Ghana Education Service announced reforms to the current educational system including replacing the existing primary school curriculum and introducing new uniforms for Junior High School [JHS] pupils. Addressing the press Thursday, Prof. Kwasi Opoku-Amankwa said the introduction of the school uniform to pupils of JHS is a psychological strategy to make the pupils see themselves as part of the Senior High School education system rather than the JHS. “When you go to other countries and you finish primary school, you exit straight into secondary school; Junior secondary or senior secondary is part of the entire secondary education. “ In our case, our structure is such that JHS students are part of the primary school. So they tend to see themselves as primary school students [pupils] but the idea of the introduction of these uniforms is to let them see themselves as secondary school students,” he told the press. 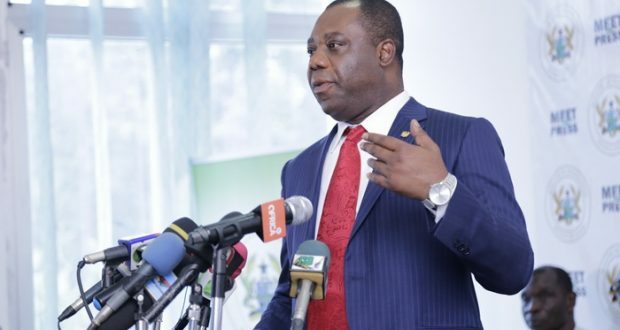 Speaking in glowing terms of the new curriculum for primary schools, Opoku-Amankwa said the reform is in line with international best practice, which requires a review every five years. “A key feature of the new curriculum is the introduction of a national assessment examination at classes two, four and six,” he said. This will replace the status quo where students are assessed nationally during the Basic Education Certificate Examination. The existing curriculum has been faulted for its great emphasis on preparing learners just to pass examinations rather than to actually acquire knowledge. “Other challenges in the existing curriculum include content overload and an inability of the assessment system, without sufficient data, to help fashion out improvement in teaching and learning. “Indeed the current landscape in terms of learning outcomes is not encouraging,” Opoku Amankwa told the press. The new curriculum: Key features. 1. At kindergarten, the number of learning areas is to be reduced from seven (7) to four (4) which are integrated into themes. 2. At Lower and Upper Primary, the number of subjects remains the same. However, there will be fewer concepts and more in-depth treatment of concept in each subject. Further, there is greater emphasis on literacy and numeracy. 3. Introduction of standards-based curriculum. This means that at every stage in school, a student is expected to demonstrate an understanding and mastery of knowledge and skills that they are expected to learn as they progress through their education. Training a core of 150 master trainers nationwide on the new curriculum. 2. The master trainers will, in turn, train 3,900 district and regional trainers. 3. About 152,000 KG and primary school teachers will be trained across the country by the master, regional and district trainers. 4. There will be continuous professional development through the setting up of learning communities for teachers to enable them to share ideas and experiences. 5 Community engagement (School Management Committees (SMCs), School Performance Appraisal Meetings (SPAM), PTA), supply of curriculum documents to schools, supply of textbooks, relevant teaching-learning resources, monitoring and evaluation. But it was the President, Nana Addo DanKwa Akufo-Addo, who first hinted of the new curriculum during his third State of the Nation Address to Parliament February 2019. According to him, Mathematics, Science, Reading, Writing and Creativity will be at the heart of the new curriculum. The President said poverty should not be an excuse for any child not to reach their full potential.